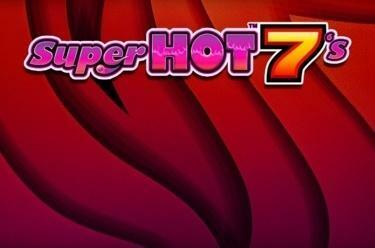 Play Super Hot™ 7ʼs online for free now! There’s a marauding band of fruits, sevens and stars on this reel set, and they’re ready to play the show of their lifetimes! They’ll need someone to orchestrate their efforts, however – and this is where you come in: You’re the only one who can rein in the wild fruit and other symbols in Super Hot™ 7ʼs - and if you do a good job, you’ll be showered with Twists! 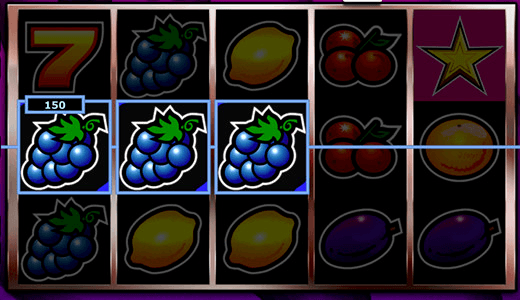 Your aim as reel master is to align 5 identical symbols along one of the 5 win lines, which all run from left to right. The ‘Star’ is this game’s Scatter symbol: If it falls thrice onto the reels, no matter the reel position, 14 free games are triggered. Within the free games, the ‘7’ functions as the Wild symbol: It can replace other symbols of the game. If it is part of w inning combination, it’ll double your win! Three ‘Star’ (Scatter) symbols or more on any reel position trigger 14 free games, which are played at trigger bet and lines. You win a bonus re-spin if to Scatter symbols falls onto any reel position during the free games. Both Scatter symbols will then remain fixed and one reels turns again. If another Scatter appears, you’ll win additional free games.